In a blog earlier this week, we shared the ASPCA’s list of the Top 10 Toxins of the Year for 2017. Today, we want to give pet owners some tools and ideas on how to prevent accidental poisonings from even occurring. Ask your vet first before administering any medication or supplement to your pet. Just because something is safe for humans, this does not always mean it is safe for pets. Your vet can let you know the safest alternative for your pet. Additionally, your vet will be able to advise you on whether any drug interactions might occur if your pet is already taking other medications. Put unsafe items out of reach: Pets are curious and they can use their nose and mouth to explore – a habit that will get them into trouble quickly if they are ingesting or inhaling a dangerous product. Read labels: The best way to understand a particular product and the risk it may pose to your pet is to read the label. How should the product be used? Where should you store and dispose of the product? 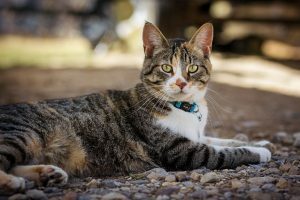 One area of particular concern with topical flea and tick pet products is when owners apply topical products to cats when the product is only labeled for dogs. Some canine topical flea and tick preventions are toxic to cats. Cats cannot metabolize certain products the way dogs can, which can lead to illness or death. Always follow label directions to avoid this problem. Additionally, if a dog product is toxic to cats, you should keep your cat(s) away from the dog after application. The label will guide you on how long you should keep the pets separated. Certain foods that are safe for humans can cause problems for pets, and these foods should be avoided completely. Check out this list from the ASPCA on some of the most common toxic human foods. Also, consider that while some foods may not be toxic, they might still cause gastrointestinal upset or pancreatitis if ingested by your pet. For some safe food ideas, visit our previous blog on Human Foods You Can Actually Feed Your Pet. Visit the ASPCA website for a searchable database of toxic and non-toxic plants. Remember that even non-toxic plants can cause gastrointestinal upset if your pet ingests the plant. For owners who have outdoor pets that are left unsupervised, don’t forget to check for toxicity of plants used in landscaping. Puppies, kittens, and pets who are new to a home should be supervised closely as you are learning about what kind of curious trouble they may get themselves into. Confining pets to certain areas of the house that are pet-safe and poison-proof can also be a solution when owners have to leave home or leave pets unattended. You may find that your pet is particularly persistent about getting into certain areas of the home. For example, animals who like to get into the trash, or the kitchen pantry may need extra barriers in place to prevent them from getting into these areas (e.g. child-proof locks and closures on cabinets and doors). Of course, accidental poisonings are just that – accidents. 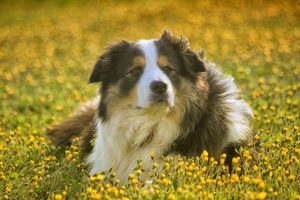 The other part about understanding poison prevention for your pet is also understanding what to do if an accidental poisoning occurs. You should contact us, or an emergency clinic if we are closed, right away. The ASPCA and Pet Poison Helpline also have on-call staff to help guide owners through poisoning emergencies (there is typically a fee associated with these calls). Remember – rapid response is critical. Get your pet to a vet as soon as possible after an accidental poisoning has occurred. If possible, bring the product or take a picture of the label so that we can understand exactly what, and how much, your pet was exposed to when the poisoning occurred. Do you have questions about poison-proofing your home? Give us a call today!